While riding around all day in a safari vehicle looking for wildlife can be the experience of a lifetime, it can also be super tiring. At the end of a long safari journey in Tanzania, it’s might be smart to head east to Zanzibar for some rest and relaxation. Heck, why not head straight there and spend all week relaxing? 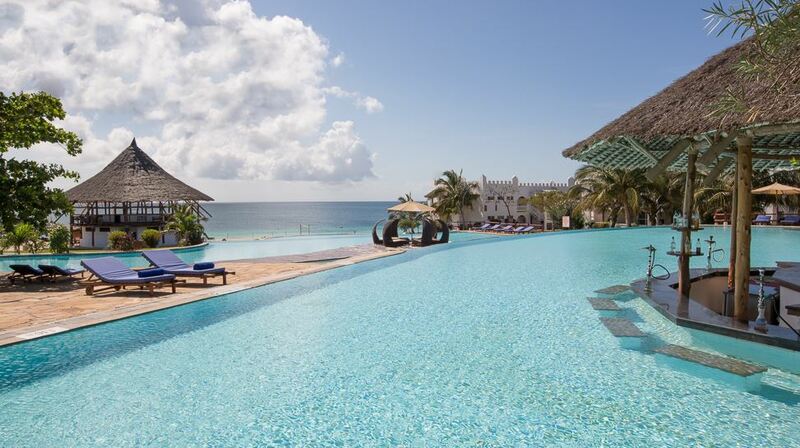 Fortunately, Zanzibar has plenty of places where you can do just that. 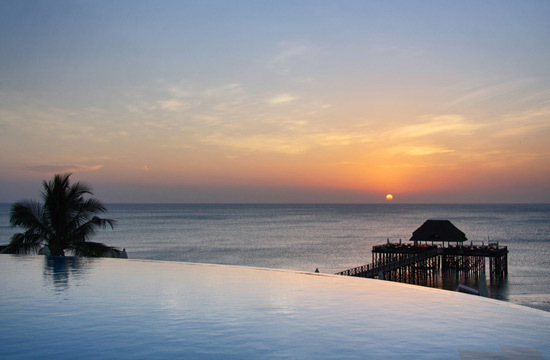 Here are our picks for the best spa resorts in Zanzibar — Tanzania’s island paradise. This incredible resort features massive ocean front views and 100 luxurious beachfront suites that will keep you in the ultimate comfort. The exclusive Hideaway Spa features relaxing massages with Thai, Balinese and Indonesian treatments to get you super relaxed. There’s also a Jacuzzi, steam bath and beauty center if you’re looking for a little something extra. This luxurious spa resort has 120 bedrooms that are situated next to tropical gardens and sparkling swimming pools. The onsite Shwari Spa is one of the top rated in the country and has five treatment rooms, including a steam room, plunge pool and a sauna. It’s located just 20 minutes from Stone Town, making it easy to get your cultural fix. 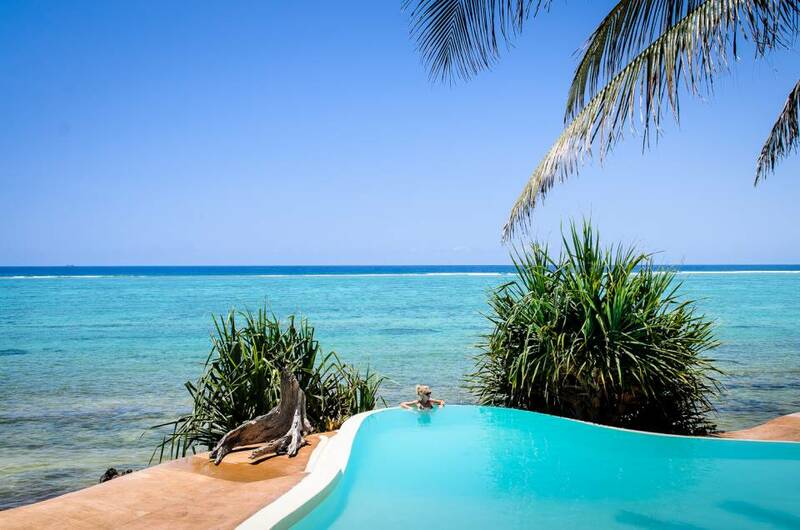 Matemwe is in one of the most isolated parts of Zanzibar and features small villas spread across a strip of beach. The onsite Sea & Spice Spa offers plenty of treatments and only uses products that are made in Africa. Treatment includes several themed massages such as the African wood massage which uses liberal amounts of Shea butter to aid in circulation. Surrounded by gorgeous gardens and baobabs, this incredible property was designed by Neil Rocher, one of the top architects in east Africa. 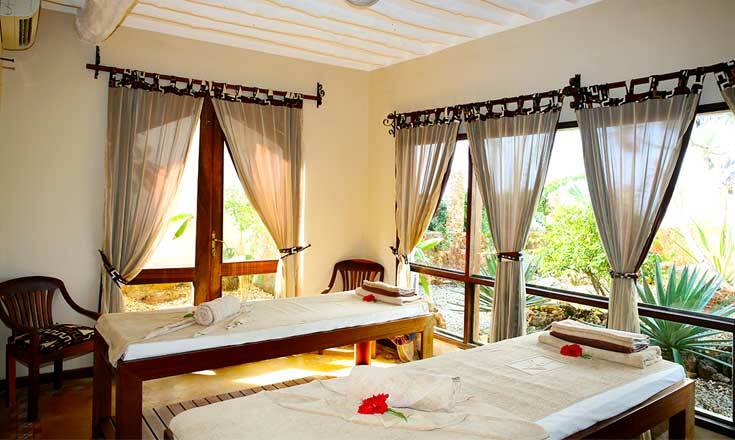 The spa is situated in the shade and opens to the lush gardens of the property. All of the products used are locally sourced by the local communities and based on seaweed, coconut and spices found on the island. Located on the gleaming white beaches of Kiwenga, this Swahili and Arab inspired hotel will totally immerse you in the vibe of the island. While staying at the resort, you’ll be surrounded by 30 acres of tropical gardens and over 1,000 palm trees. The Oasis Spa is located in the middle of the property and features cozy decorations with views into the outdoor gardens. Owned by the same group as The Palms, this property is another gem worth staying at and has a mix of modern design mixed with intricate carvings throughout the grounds. 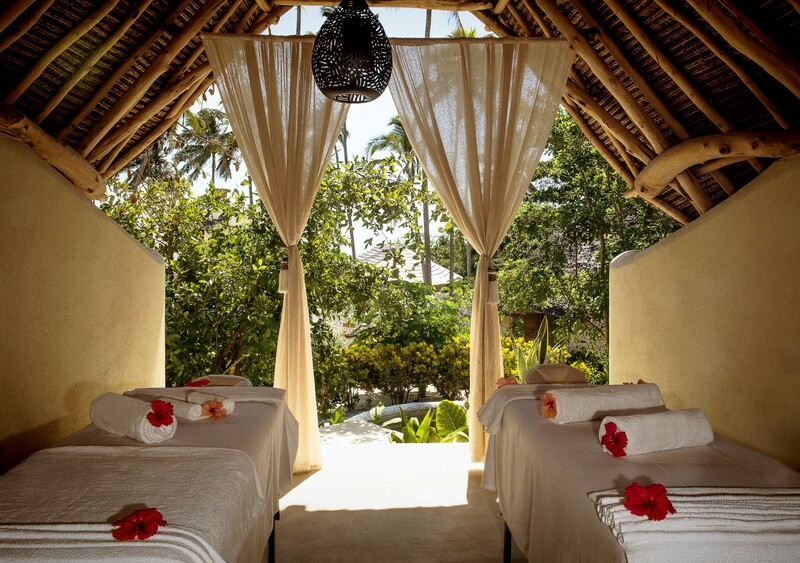 The onsite Frangipani Spa might be the best part of the whole place and features a luxe Swahili style where you’ll be surrounded by flower petals and spice scented candles. As you can see from the picture above, it’s really quite the experience. Those looking for more space will enjoy the Neptune Pwani as it has 154 rooms, all with terrace and ocean views, along with plenty of spacious grounds to explore. The onsite Rain & Earth Spa is perfect for the mind and boy and features holistic techniques that will put you at rest. There’s also a sauna, steam bath and large pool for relaxing before and after your treatment. Last but certainly not least, this massive resort is one of the largest in the country and is situated on 20 acres of lush surroundings right on the Indian Ocean. 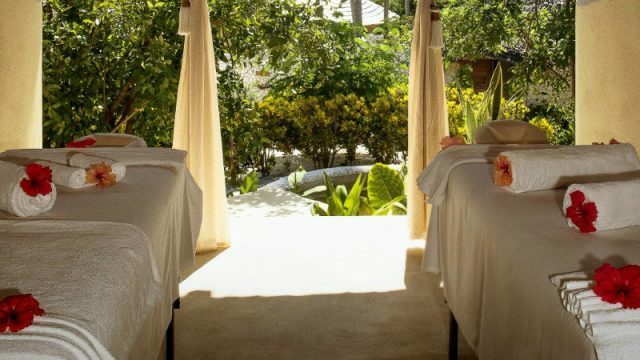 The onsite wellness spa features all kinds of treatments including Ayurvedic massages, aromatherapy massages and even a traditional Zanzibarian massage with aphrodisiac ingredients. After your massage, be sure to take a dip in the massive swimming pool — you can’t miss it. This article was originally published on November 3, 2015.